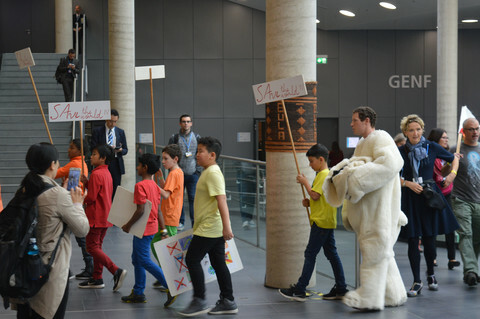 Environmental activist Alan Mitcham was standing a few hundred metres from the entrance of the Bonn conference centre where the United Nations began its annual climate conference on Monday (6 November), handing out postcards with political cartoons he made himself. He said he was targeting African participants in particular. 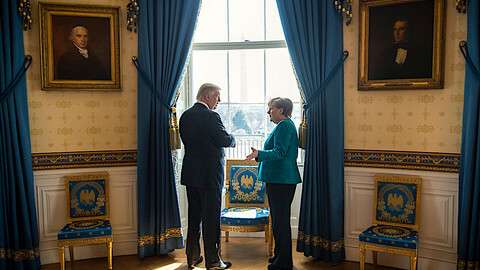 "They should know that Europe is not a climate angel," he told EUobserver in an interview. "They should know about brown coal. They should know that everything is not as pretty as we make out." Mitcham, a freelance computer programmer and 'hobby artist', said that in the past decade he had been canvassing at climate negotiations whenever they were held in Bonn, where the United Nations Framework Convention on Climate Change has its headquarters. 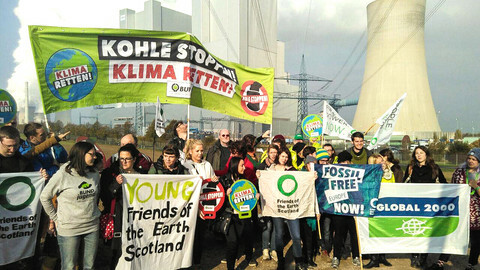 He took a day off on Monday to join a handful of others that protested the continued use of brown coal, or lignite, in German power production. Lignite is the most polluting of fossil fuels, and has the highest intensity of CO2 emissions per unit of generated electricity. 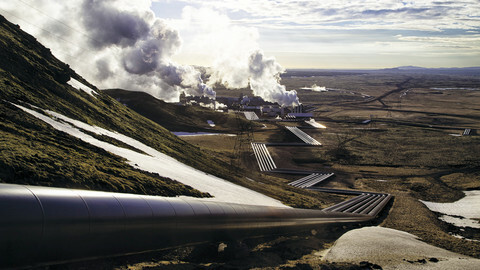 The concentration of CO2 in the atmosphere, which traps heat through a phenomenon known as the greenhouse effect, has been increasing since the industrial revolution. 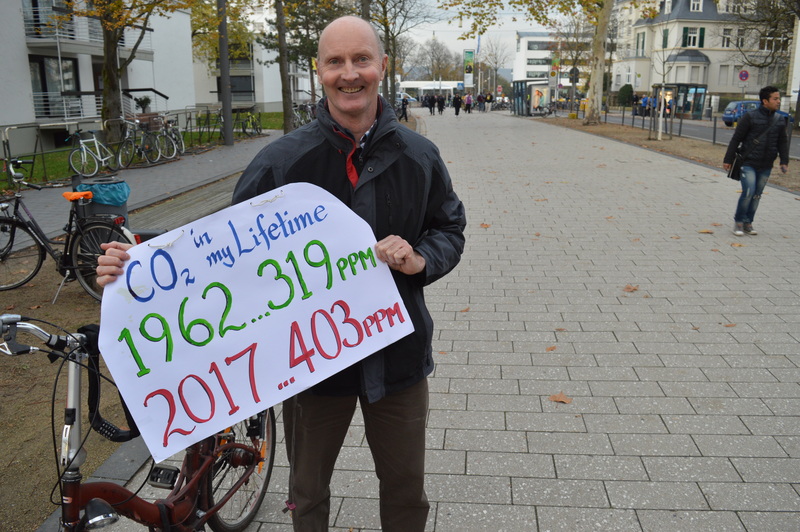 "I was born in 1962, and in 1962 there were 319 [CO2] parts per million, now in 2017 there are 403 parts per million," said Mitcham. "In the last years, it's increasing even more dramatically. We are having [extreme] weather events more frequently." A new study out on Monday (6 November) from the World Meteorological Organisation said it was "very likely" that 2017 will be one of the three hottest years on record. Last week, the United Nations produced a report that said the climate action promises made by countries in Paris in 2015, fell "alarmingly" short of what was needed to limit global warming to around 2C since pre-industrial times – the current average increase is already 1.1C. The promises "cover only approximately one third of the emissions reductions needed to be on a least-cost pathway for the goal of staying well below 2C." To Mitcham, it was "blindingly obvious" that the climate is changing. "What I don't understand is why the only action being taken is soft action," he said. He said that when the Paris climate deal was agreed two years ago, he at first felt "euphoria." "Then I read the articles and realised that nothing was set in law. It was a fudge, it was a piece of candyfloss. It was something that pacifies the people." The main approach that allowed an agreement among 195 countries – and the European Union as a bloc – was a bottom-up one. Paris treaty signatories determine their own climate contribution. However, the text included no mechanism to ensure compliance. The talks in Bonn this week and next will be preparation for a climate summit in Poland next year. During that Poland conference, the 'rulebook' for implementing the Paris deal should be agreed. "In the past I thought discussion is good. But now I feel discussion is a distraction. We need action," said Mitcham. "They have the meetings, but nothing changes," he said. The programmer-artist said a societal shift is needed. 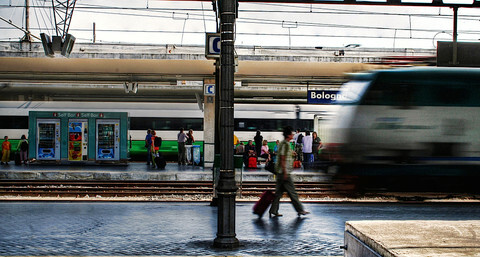 "Yesterday some friends of mine booked a flight from Memmingen, in southern Germany, to London, and they paid €7.99. Now, how can this be?" Mitcham criticised "superfluous consumption" and called for high taxes on flights. "Why do people from Brussels need to go to Bali to have a holiday? Why can't they go to Ostend? Why can't they go to the Ardennes?" When this website pointed out that the weather in the Belgian coastal city Ostend is often less agreeable than on the Indonesian island, Mitcham said that "only a tiny proportion of the world" can afford to fly. "How can we as westerners say we need to fly? It's a sort of arrogance, it's a consumerist arrogance." "The cost of that indulgence is the planet," he added. Mitcham realised his plea for a radical change did not resonate with a lot of people, but said there was no other choice. "If we don't have the revolution, then nature will implement the revolution for us, and it won't be a pleasant revolution," he noted, predicting food riots as a consequence of climate change-induced crop failures. He compared the situation to the Titanic approaching the iceberg. "Someone should say: 'okay we are going to turn very sharply'. But then the people in the dining room say: 'no no, you can't turn too sharply, because our plates might slide off the table'. ... The iceberg is there waiting to be hit." Yet on the first day of the Bonn climate summit, Mitcham was one of only a handful of protesters. 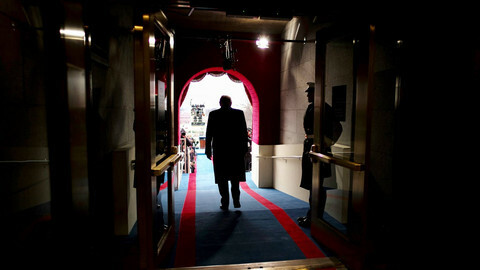 "It's difficult to get people to come," he said. He said that he hadn't even bothered asking friends and acquaintances, because he knew most of them wouldn't come anyway. "Maybe I live a schizophrenic life. I feel that these things are important, but there is only a few friends that I can really talk about these topics with." "Generally society is very frightened by these topics. I think society is retreating back into a sort of consumer cocoon." Mitcham said he thought the reason for that lack of activism was the 2003 Iraq war. "I went on the streets several times with tens of thousands of people, who really wanted a political initiative there to stop the Iraq war, and it [an end to the war] didn't happen. … You just feel bypassed." EU and the other signatories to the landmark Paris climate treaty will meet for two weeks in Germany to prepare discussions on how to implement their promises. 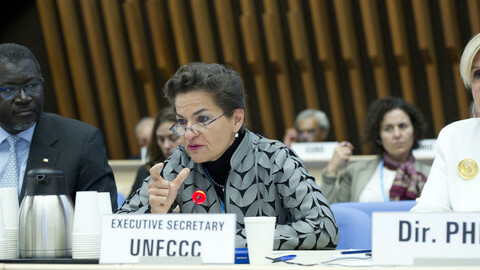 Christina Figueres said that the "world of post-truth" makes it difficult to assess statements on the United States' climate commitments. French president Emmanuel Macron called on US scientists to move to France. Trump said Paris deal “punishes the United States”, even though treaty leaves it up to nations to determine own climate contribution. Nordic countries are cooperating to switch from subsidising fossil fuels to investing in renewable energy and energy efficiency. On the last day of COP23 in Bonn, Friends of the Earth says the EU, and Germany in particular, has failed to show leadership.